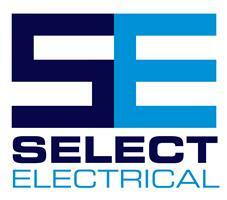 Welcome to Select Electrical and thank you for visiting our page. At Select Electrical we pride ourselves on an efficient and friendly service. Our reputation for reliability and quality of service has gained us a wide customer base. Established in 2006 and with over 25 years in the electrical trade, we are a family run business, we are fully qualified, trained and DBS checked NICEIC Electrical Contractors. All our work complies with current regulations and is also fully guaranteed, insured and certified on completion. We can provide you with advice and quotations on a range of electrical services small or large including Domestic, Commercial, Industrial and Agricultural. Telford, Shifnal, Bridgnorth, Newport, Shrewsbury, Market Drayton, Whitchurch, Pontsbury, Oswestry, Church Stretton, Wolverhampton, Cannock, Dudley, Walsall, Stafford and Surrounding areas.